Back by popular demand the very talented Alan Bates Quartet are with us again on Monday 26th August 2019. The group will be performing on the lawn against the backdrop of the stunning Somerleyton Hall, between 2pm – 4pm. What better way to enjoy a lazy summer bank holiday afternoon. 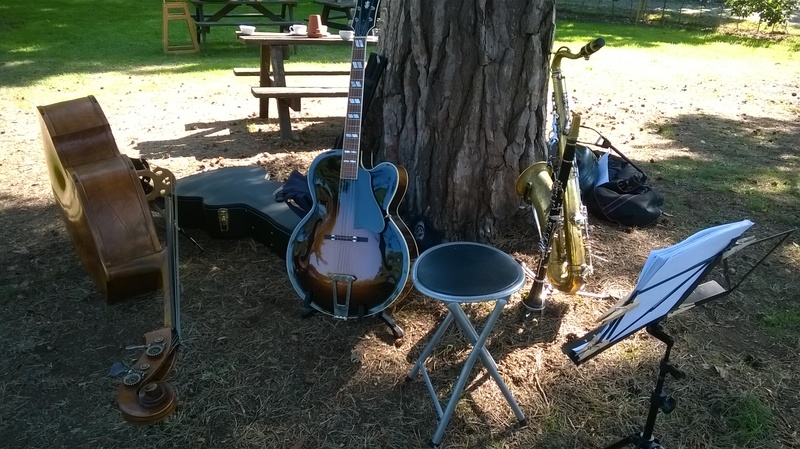 Pack a picnic or enjoy a bite to eat in our tearoom and bring the whole family along to enjoy an afternoon of lovely jazz and swing music. This event is free, but the normal ‘Garden Only’ admission charges apply for the venue. If you would also like to take a tour of the Hall on the day, make sure you buy a ‘Hall & Gardens’ ticket. If the weather is inclement on the day, the event will be held in the loggia.